Jan. 14 girls’ basketball recaps. 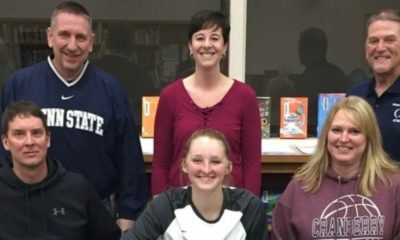 RIDGWAY, Pa. – Cassidy King became just the fourth girls’ basketball player at Johnsonburg to score 1,000 career points when she achieved the feat during a 39-29 AML win at Ridgway. King came into the game needing nine points for 1,000 and led the Ramettes with 14 points. Watch King score her 1,000th career point. Video courtesy of Rich Quiggle. 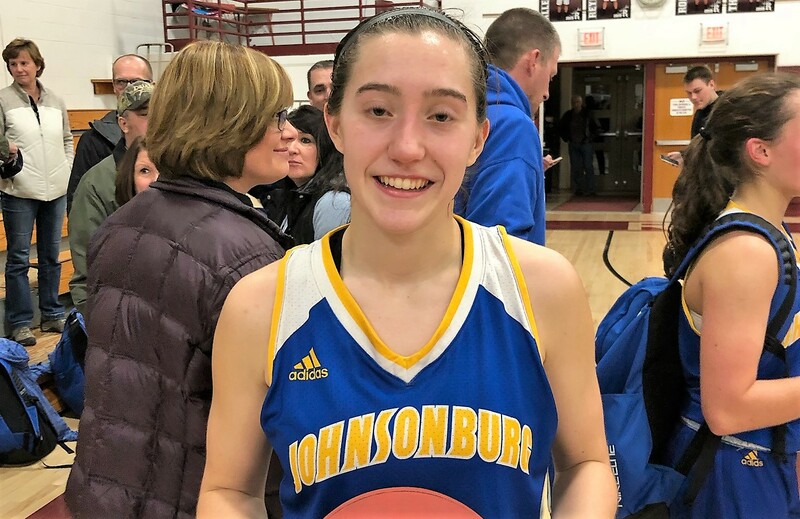 Lindsey Kocjancic added 10 points for Johnsonburg with Mario Jones adding nine. Maria Jones added 10 points for Johnsonburg with Lindsay Kocjancic chipping in eight. Gabby Rohr led Ridgway with nine points, five rebounds and two steals. 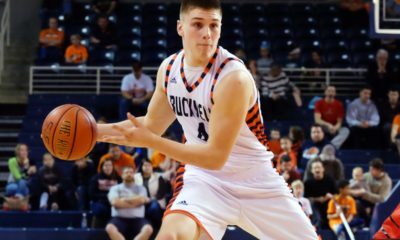 Casey Woodford added seven points and six boards. King now has 1,005 career points and joins Lora Figley (Class of 1995; 1,489 points), Suzie Kocjancic (Class of 1979; 1,245 points) and Abby Grumley (Class of 2009; 1,148 points) as the only 1,000-point scorers on the girls’ side at Johnsonburg. HYDE, Pa. – Alyna Ryan scored all four of Clearfield’s overtime points, as the Lady Bison rallied past visiting DuBois, 42-40. Clearfield trailed 30-25 going to the fourth quarter but tied the game at 38 at the end of regulation thanks in large part to eight points from Ryan, who finished with a game-high 25, in the fourth quarter. Megan Durandetta, who ended with seven tallies, also hit a big 3-pointer in the fourth for the Lady Bison. Olivia Johnson led DuBois with 12 points with Saige Weible contributing 10 points. CURWENSVILLE, Pa. – Thanks to seven fourth-quarter points from Tarah Jacobson, Curwensville defeated visiting Union, 52-47. Jacobson finished the game with 11 points for the Lady Tide while Madi Weber netted a team-high 16 points. Dominika Logue paced Union with a game-high 26 points. 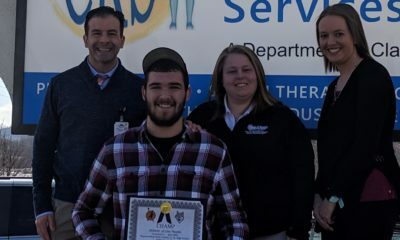 KARNS CITY, Pa. – A team effort helped Karns City get their first victory of the season with a 49-46 thriller over visiting Clarion-Limestone. Alyssa Stitt, Emily Huff and Emma Johns each tallied nine apiece for the Lady Gremlins with Brooke Manual chipping in for eight. Maddy Craig had a game-high 18 points for Clarion-Limestone. SHINGLEHOUSE, Pa. – Alyvia McKimm and Kaelee Bresslin combine for 25 points to help Cameron County defeat Oswayo Valley, 54-27. McKimm had a game-high 15 points and Bresslin netted 10 for the Lady Raiders. Hailey Hilfiger added seven points, 15 rebounds, five steals and two assists. Faith Coole paced Oswayo Valley with 12 points with Karina West adding 10. ULYSSES, Pa. – Abbi Anderson’s game-high 16 points guided Northern Potter to a 47-10 victory over Smethport in NTL action. Courtney Martin was the second-leading scorer for the Lady Panthers finishing with 10 points. Mirissa Bliss also chipped in six points. Kaleigh Sanderson paced Smethport with four points. 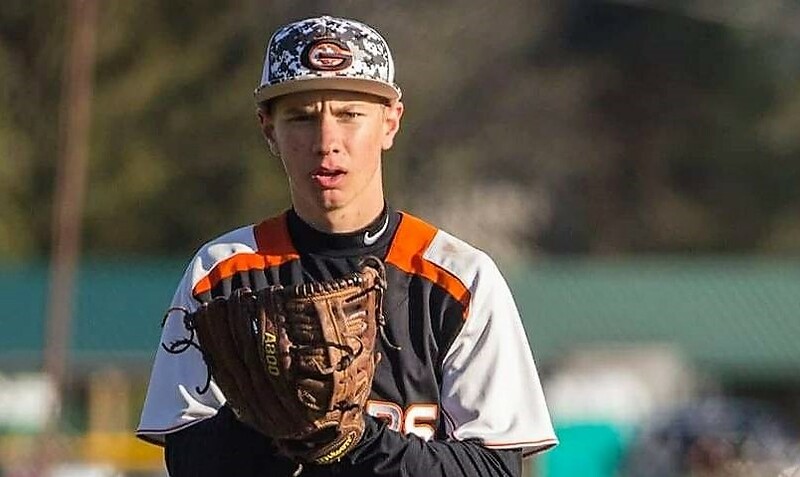 GALETON, Pa. – Thanks to balanced scoring, Otto-Eldred defeated Galeton, 35-22. Autumn Smith netted a team-high eight points for the Lady Terrors and Hailey Frederick chipped in for seven. Reilly Raught added five points, nine rebounds and three blocked shots with Brittney Greeley contributing seven rebounds, three assists, two steals and a point. Katelyn Pagano paced Galeton with a game-high 10 points. PORT ALLEGANY, Pa. – Sarah Chambers and Shae Black each scored 18 points to lift visiting Coudersport to a 57-37 NTL win over Port Allegany. Dana Dubots and Mikayla Dunn each added seven points for the Lady Falcons. Cailey Barnett led Port Allegany with 14 points with Erin Stauffer scoring 12. 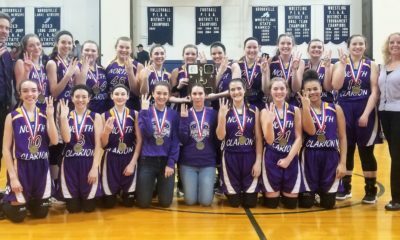 KNOX, Pa. – Abby Gatesman recorded a double-double to help visiting North Clarion survive an upset bid from Keystone, 31-26. Gatesman had a game-high 16 points to go with 11 rebounds for the She-Wolves. Haley Sherman added four points and 11 boards for North Clarion. McKenzie Hovis paced Keystone with 12 points with Jozee Weaver adding 10. The Lady Panthers were once again without leading scorer Emily Lauer (ankle). WEST SUNBURY, Pa. – Behind 31 points and 12 rebounds from Malliah Schreck visiting Cranberry rallied for a 53-43 win at Moniteau. The Berries trailed, 39-34, going to the fourth quarter but outscored the Lady Warriors 19-4 in the final eight minutes with Schreck netting 12 of her 31 points in the quarter. Kristin Auvil paced Moniteau with 12 points and three blocked shots. Andie Arblaster added 11 points with Aslyn Pry contributing six points, seven rebounds and six assists. NEW BETHLEHEM, Pa. – Kate Horner had 15 points, three assists, two rebounds and two steals to lead visiting Punxsutawney to a 56-40 win over Redbank Valley. Riley Presloid added 11 points and three steals for the Lady Chucks with Abby Gigliotti contributing eight points and eight rebounds and Ryley Casaday six points and 10 boards. Tara Hinderliter paced Redbank Valley with 18 points with Kelsey Elmer adding 11. FOXBURG, Pa. – Cami McNany and Kylee Eaton combined for 23 points to help A-C Valley past visiting Clarion, 45-34. McNany led the Lady Falcons with 13 points with Eaton adding 10. Emily Wetzel chipped in eight points in the win. Kait Constantino had 12 points for Clarion with Wendy Beveridge adding eight.